Bends are the most common type of pipe fittings because of their ability to warp and ovalize under the action of bending moments.They provide added flexibility and hence increased stress with respect to straight pipes. 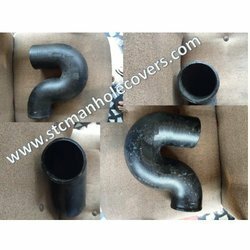 We are involved in the manufacture and supply of the Ductile Iron Collar. Our Ductile Iron Collars ensure high durability and strength. Our range of Ductile Iron Collars to various industrial requirements. We offer these Collars in different sizes and lengths in order to meet the various requirements of our esteemed clients. We are involved in the manufacture and supply of the Ductile Iron Tapers . Our Ductile Iron Tapers ensure high durability and strength. Our range of Ductile Iron Tapers to various industrial requirements. We offer these Tapers in different sizes and lengths in order to meet the various requirements of our esteemed clients.